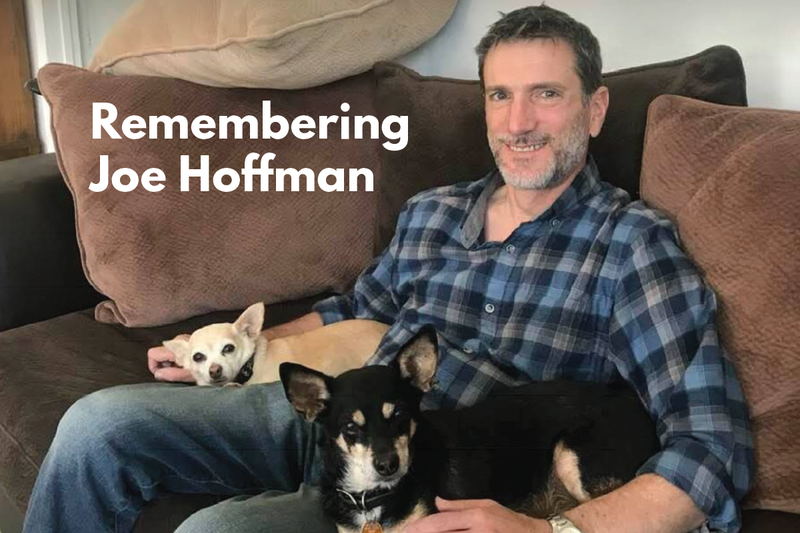 Joe Hoffman’s Twitter page description, in its entirety, reads, “Trying to make the world a better place,” and nothing could better encapsulate the man. Joe took pleasure in the small, beautiful, delicious and amusing things around us, in cooking and gardening with thought and care, making computing simple for some of us and better for the City of Los Angeles, the Greater Wilshire NC and many grateful clients. But most fundamentally he cared about helping people – friends and strangers alike. Joe cooked to give delight to the people who were the lucky surprise recipients of his marmalades, pickles and preserves; he helped our City’s homeless people not because he received accolades, but because it was what he could do. When it came to giving of himself, he tended to believe that “could” means “should,” and so he simply did. He helped those who worked with him in innumerable ways, making their jobs easier and their work more effective – because he wanted the world to be a better place and he wanted them to make it better, too. Even to the end: One of his last tweets was “Fight stupidity with facts – go metro” which had uncharacteristic typos because even as his abilities were failing him, he was still reading, taking notes and sharing his opinion with friends, even as it became frustratingly difficult for him to express himself.